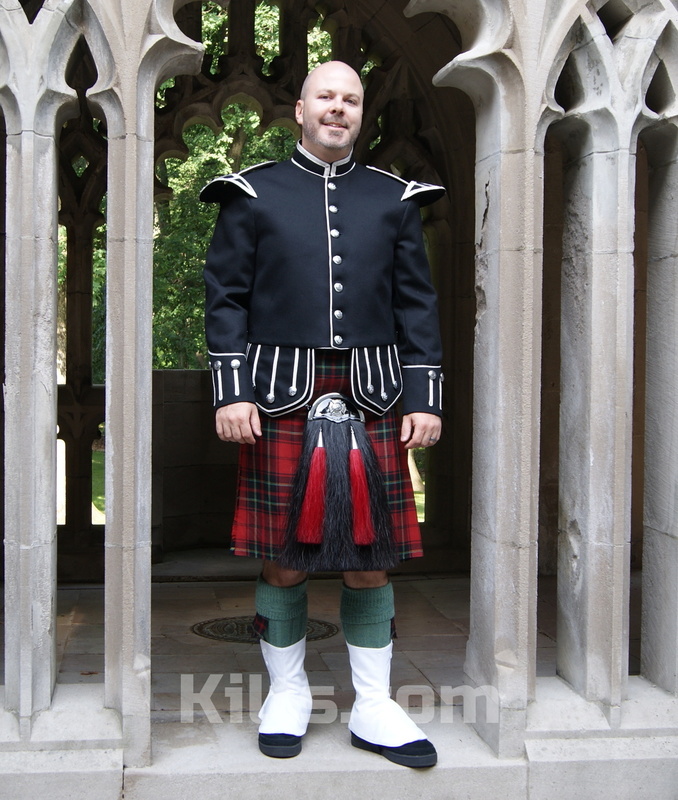 The Military Doublet is hand made in Scotland, so will take 7-10 weeks to ship. 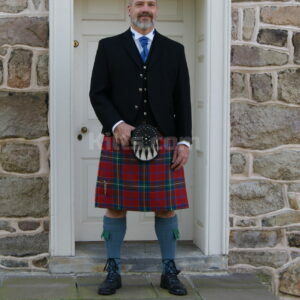 Because it is made in the UK, it is quite slim fitting, so American customers should order one size bigger. For example, if you are a US Size 46, it is recommended you order a Size 48 here. 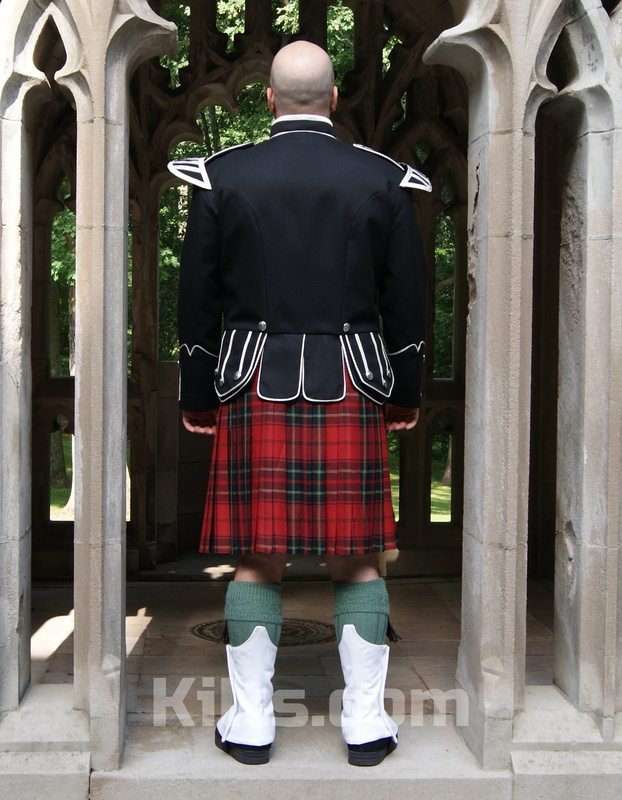 Make sure you read our kilt jacket measuring guide prior to ordering. 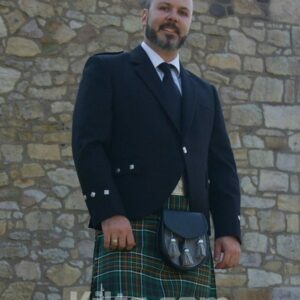 Our Military Doublet is a high quality kilt jacket hand made in Scotland that meets all Military Requirements. 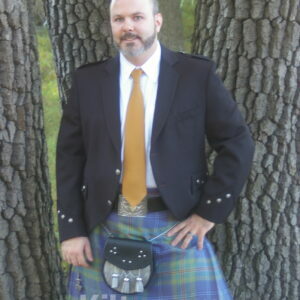 The Military Doublet Kilt Jacket is made using high end 19oz Wool Barathea & makes use of heavy interfacing. You will notice that there is intricate Scottish & Russian braiding which is found on the collar, shoulder boards, cuffs & flaps. The Military Doublet also comes fitted with chrome plated buttons (which feature the thistle on them), high quality shoulder shells. The jacket itself makes use of a unique “hook and eye” closure system on the collar. There are also two pockets at the front which are hidden by the front flaps. For keeping your belt in place, there are metal hooks to keep it secure. The Military Doublet is fastened up using the buttons. Please note – The Military Doublet is hand made in the UK, so it will take 7-10 weeks to ship. It is made for UK sizes, so American customers should order one size up. Say you currently wear a US 44, we’d recommend you order a 46 here. Make sure you read our measurement guide here before ordering.